Specialized middleware, license negotiations and workflow management tools distinguish turnkey HPC vendors. POD, or Penguin Computing on Demand, allows you to run simulation on Penguin Computing’s on-demand infrastructure. Image courtesy of ANSYS. Cloud-hosted technologies are generally easier to use and deploy. That, at any rate, is the expectation of the consumers. The precedents set by browser-based ERP (enterprise resource planning), PLM (product lifecycle management) and CRM (customer relationship management) offerings certainly reinforce this notion. This may give the wrong idea about do-it-yourself HPC (high-performance computing) for simulation. “With AWS (Amazon Web Services), you’ll have to create a cluster that’s right for the job you want to perform. There are some tools for managing queues and the environment. But they can’t accommodate some interactive jobs, or people who want to use their own schedulers, which is different from what AWS provides,” says Kevin Kelly, sales director, Penguin Computing, Penguin on Demand (POD). Providers like Penguin Computing, Rescale and other HPC vendors hope to capture the simulation market by bundling backend hardware with frontend software, a combo designed to make HPC-powered simulation easier. 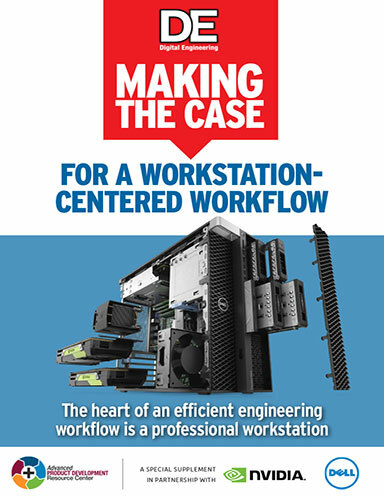 By preconfiguring the hardware infrastructure to fit the clients’ simulation workflow and providing online tools, they eliminate the IT burden that would have otherwise fallen on the user. The cluster-configuration interface of Rescale’s on-demand simulation infrastructure. “Rescale’s offerings are extremely turnkey,” says Smith. “We’re not a consulting company. But with enterprise sales, we do act as advisors.” Rescale doesn’t own or operate its own data centers. The company provides on-demand hardware infrastructure in partnership with hardware vendors like AWS and Azure. If a simulation job takes five hours and three seconds, for example, you’ll be billed for six hours of processing time by a vendor who meters by the hour. Your bill for such a job in Penguin Computing’s billing method, as Kelly explains, will be strictly for five hours and three seconds. Specialized HPC vendors also perform another function that general purpose cloud providers like AWS and Google don’t—sorting out the software licensing needs. HPC licensing for simulation is different from single-user or single-machine licensing. HPC licensing allows the software to run in parallel on dozens, hundreds or even thousands of cores for faster processing and efficiency. Figuring out the right licensing scheme or the most economic option for a particular HPC job could be a stumbling block. Bare metal hardware is a physical piece of hardware whose computing capacity may be delivered remotely to the users from the cloud. On the other hand, a virtual machine (VM) doesn’t really exist; it’s partitioned out of a large cluster’s computing capacity. Thus, a bare metal cluster could host a number of VMs. VMs are designed to be on par with real machines in their processing power. But in some simulation workflows, the virtualization protocols may noticeably degrade the software’s performance. The term hybrid cloud is often used to describe a combination of privately owned clusters and on-demand computing. The setup is common among manufacturing firms that rely heavily on simulation. Large simulation jobs tend to demand far more computing capacity than what’s available in a single machine, or an onsite cluster. To address the deficiency, a business may augment the processing power of the company-owned cluster with additional CPU and GPU cores from an on-demand HPC vendor. Penguin Computing’s Kelly says the company enables customers to leverage cloud licenses from their software vendors, or can implement workflows with secure access to on-premise license servers. “Many of our customers have great relationships with their ISVs and want to keep that direct relationship,” he says. 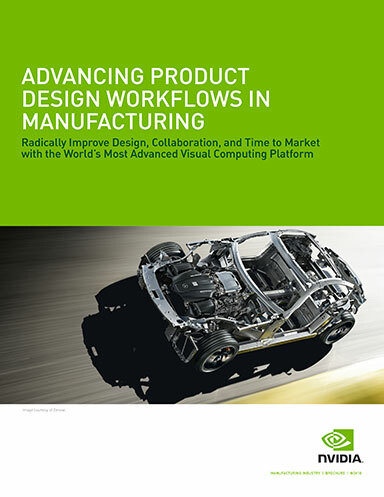 Without a licensing mechanism that allows multiple instances of the software to run simultaneously on hundreds of cores, engineers can’t perform what is called design of experiment (DOE), a type of simulation conducted to evaluate and analyze a sweep of design options to identify the best. Leading ISVs have begun to offer various forms of token-based or usage-based licensing options, but the variety of billing and calculation methods could be difficult to decipher for novices and ordinary users. A simpler pay-as-you-go license that makes it easy to predict the cost of a HPC-powered simulation job will go a long way to encourage more DOE analyses. In 2014, Altair, the company best known for its OptiStruct solver, launched HyperWorks Unlimited Virtual Appliance, a cloud-hosted simulation platform built on AWS infrastructure. The predecessor to the AWS-based version was Altair’s HyperWorks Unlimited Physical Appliance, a turnkey appliance that functions as an onsite HPC cluster for simulation. One unique feature of Altair’s offering is the software bundled with HyperWorks Unlimited. Whether you get the AWS-based virtual appliance or the bare-metal physical appliance, the platform comes with “unlimited use of the HyperWorks computer-aided engineering (CAE) suite with PBS Professional, a leading HPC workload manager,” the company writes. Most simulation software vendors do not own and operate their own data centers—a prerequisite to support on-demand HPC. Many also lack the HPC expertise required to put together application-optimized clusters on the fly. Therefore, a partnership with an on-demand HPC vendor is the most practical approach. 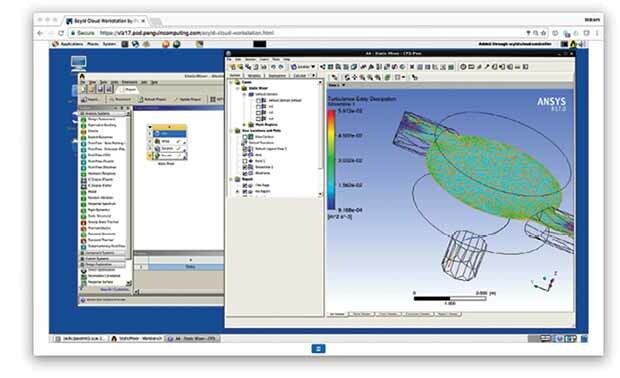 Leading simulation software makers Siemens PLM Software, Dassault Systèmes and ANSYS, for instance, have a relationship with Rescale that enables users to run their software on Rescale’s infrastructure. A startup launching today may have the option to delegate all or most of its IT needs to the cloud. But many midsize and large enterprises that began life in the pre-cloud era didn’t have that luxury. So the majority of them now own, operate and maintain private clusters. Forsaking the hardware they already own for the convenience of the cloud is still a difficult proposition. “The average lifespan of a cluster is three to five years,” notes Smith. “If you have spent hundreds of thousands of dollars on a cluster, you’re not going to abandon them. You’ll figure out a way to use them.” That is the reason many industry insiders are counting on the hybrid model—onsite clusters augmented with on-demand resources—to persist for the near future.